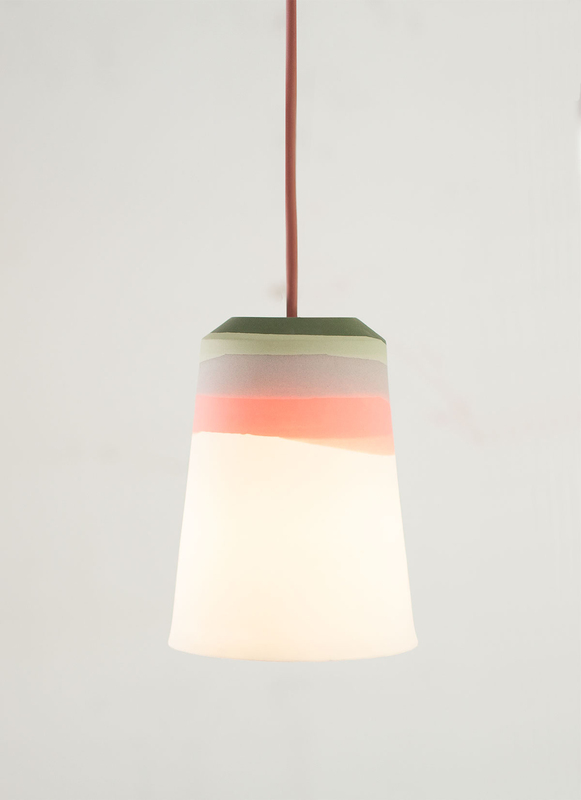 Liquid is a series of lampshades made from fine bone china porcelain. The shades the result of an investigation into the materials properties and a search for ways to manifest the ceramic process of casting porcelain in the end product. Coloured slip is used to show the liquid state of porcelain before it is casted and fired as well as to underline the materials translucency after full vitrification.